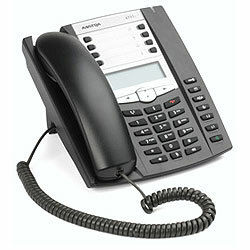 6731i IP Telephone with AC Power Adapter offers exceptional value in an entry level, feature rich IP telephone. A member of the carrier-grade, open-standards based 67xi SIP portfolio, this phone offers exceptional features and flexibility in an enterprise grade IP telephone. With a sleek design and a compact footprint, this multi-line SIP telephone delivers the advanced features and performance traditionally found only in higher priced products.